Officially named the Tall Cedars of Lebanon of North America is an obscure appendant body of Freemasonry devoted to fostering friendship and fellowship among Freemasons; The motto of this organization is "Fun, Frolic, & Fellowship." This group is open to Masters Masons in good standing and Masons will see the name originates from the legend of King Solomon's Temple who used cedars from Lebanon in the erection of that building. There are around 13,000 members and 102 Forests, but most of this is situated primarily on the East Coast. From the Encyclopedia of Freemasonry by Albert Mackey, "The grove of trees known as the Cedars of Lebanon consists of about four hundred trees, standing quite alone in a depression of the mountain with no trees near, about six thousand four hundred feet above the sea, and three thousand below the summit." The Cedar tree is very symbolic. It is seen as a symbol of eternity due to the longevity of the tree's life. From the Bible, we learn that the Ark of Covenant was made of Cedar. 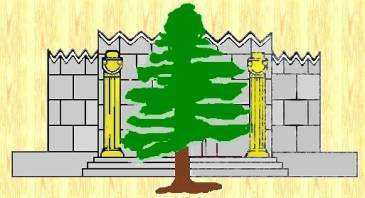 In Freemasonry, the Cedars of Lebanon make several appearances throughout the various degrees. The ritual of the Tall Cedars is said to be taken from I Kings, II Chronicles, Jeremiah, and Ezekiel. Members are known as "Cedars" and the basic organization unit is known as "Forests" which is presided over by a Grand Tall Cedar. The members are distinguished by the pyramid-shaped hat they wear. Like the Shriners, Forests include a number of units and clubs such as Clowns, Band, Bowling Leagues, RV club, Golfers, Antique Car Units, Camping Club, etc. The international governing body is known as the "Supreme Forest" which is presided over by the "Supreme Tall Cedar" and is headquartered in Harrisburg, PA. In addition, there are two additional degrees conferred known as the "Royal Court" and the "Sidonian." The history of this group goes back to around 1843 when it was a standalone degree and not a formal organization. This "Tall Cedar degree" was known in those days "The Ancient and Honorable Rite of Humility" which is said to have include some roughhousing and hazing. The little records that exist show that the degree continued through the actions of Dr. Corson and Dr. Stevens who conferred the degree throughout Pennsylvania and New Jersey. In 1887, Dr. Stevens conferred this degree upon Frank Bowen and Orlando Bowen, who were a part of the group that formed the Tall Cedars of Lebanon of the USA. Often this degree was conferred at large gatherings of Master Masons. 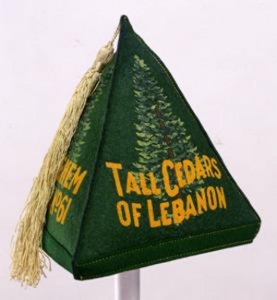 The Tall Cedars of Lebanon of the USA was founded on March 18th, 1902, in Trenton, NJ, by 15-members. The decision to formalize this group was due to the desire to stabilize and preserve what they saw as a worthwhile ceremony. In 1972, the name changed to the Tall Cedars of Lebanon of North America when the organization spread to Canada. Like most appendant bodies in Freemasonry, there is a designated charity for this organization. The Tall Cedars supports research into Muscular Dystrophy and other neuromuscular diseases. It is estimated that the Tall Cedars have raised over $14-million for Muscular Dystrophy research. Each year, the Supreme Forest presents a check at the Jerry Lewis Labor Day Telethon.